The Pacific Islands are our home, where we grew up, and where our loved ones live. The islands are paradise for some, but for others, every day is a struggle. The Pacific Islands are some of the most isolated land masses on the planet. At one time, natural resources were plentiful and native populations were completely self-sufficient. Foreign companies arrived and provided employment for native populations, but also used up natural resources and disrupted the traditional subsistence culture of the people. When the resources became depleted, the companies left, taking the jobs with them, leaving the Pacific Islands with the highest rates of unemployment in the world. Today, Pacific Islanders can no longer fish or farm, and are dependent on imported food. Now jobless and on limited budgets, many are forced to either leave their home islands, or consume diets low in fruits and vegetables and high in processed, unhealthy food. Climate change is now causing rising seas and coastal damage that reduce already scarce arable land, fresh water, and fish stocks. 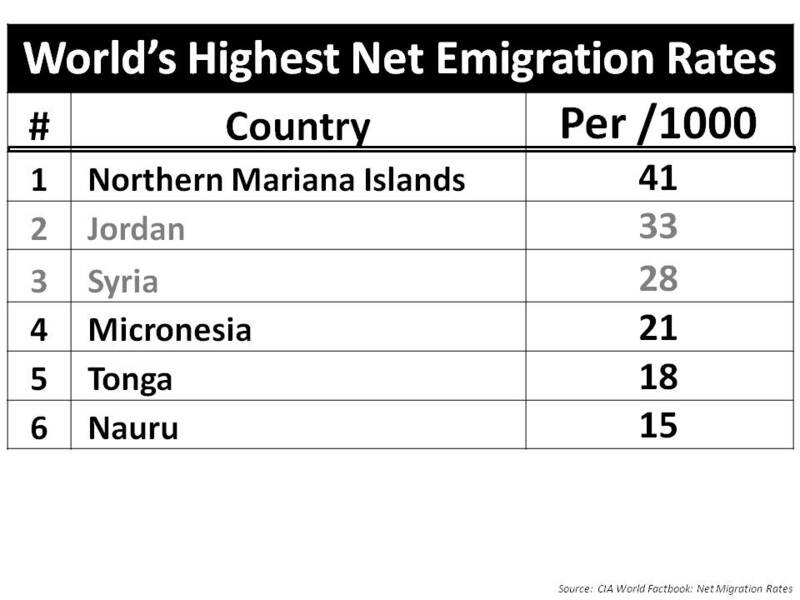 The Pacific Islands are quickly becoming uninhabitable and native people are the world's first climate refugees. 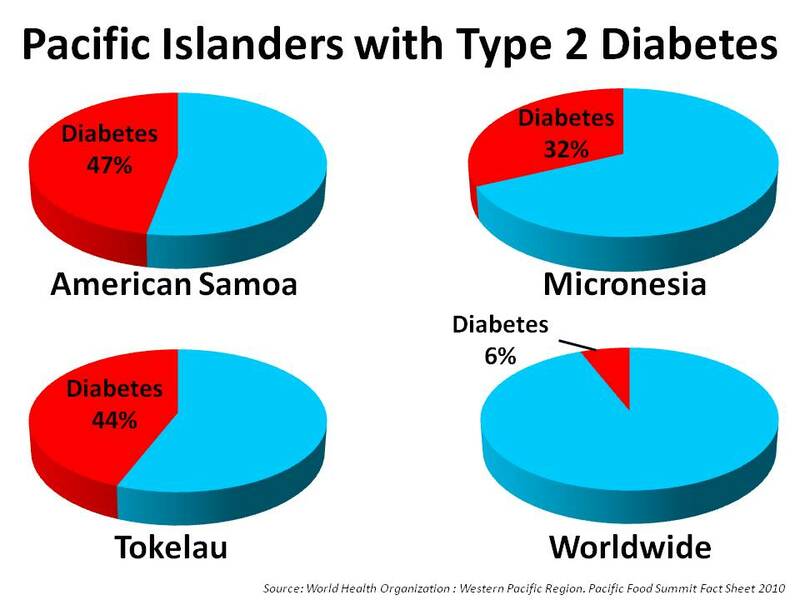 Pacific Islanders now have the highest rates of obesity, diabetes, and ﻿﻿emigration﻿﻿ in the world. 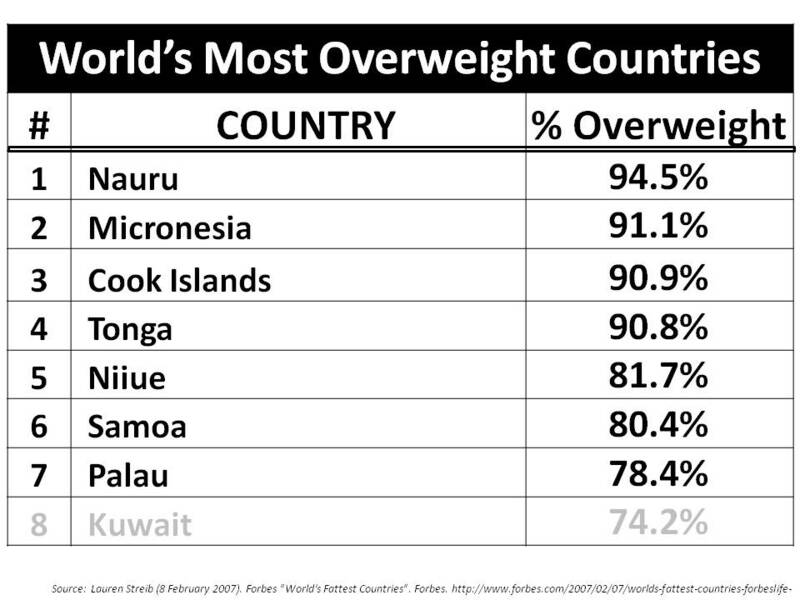 Among U.S. citizens, Native Hawaiians "exhibit the highest prevalence rates of obesity of any racial/ethnic group" (Madan et. al. 2012) and they "display one of the worst health profiles, the highest mortality rates for most chronic diseases, and subsequently the shortest life expectancy" (Moy et. al. 2010).